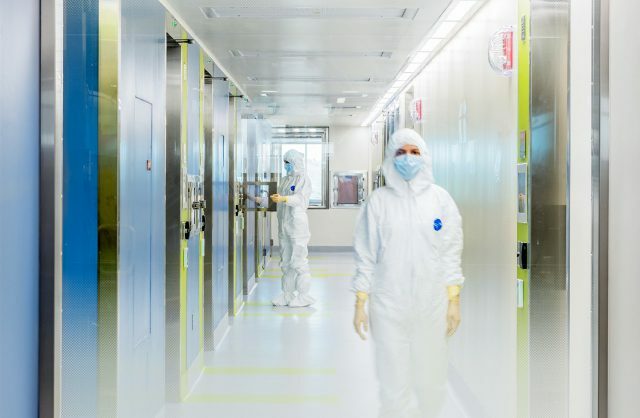 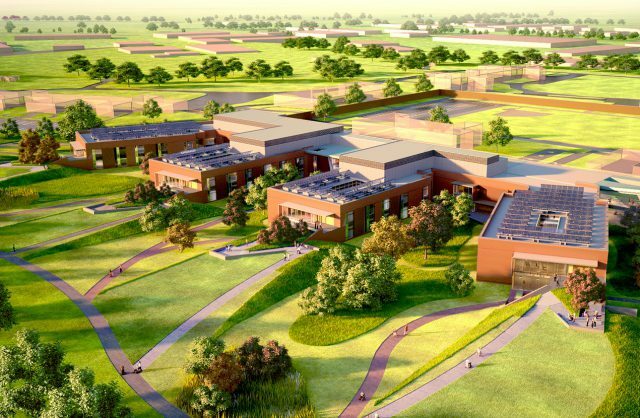 The French pharmaceutical company Ipsen, which operates on five continents and employs over 4,600 people, decided to expand its US operations by creating a new R&D facility in Cambridge, where it leased 62,000 square feet. 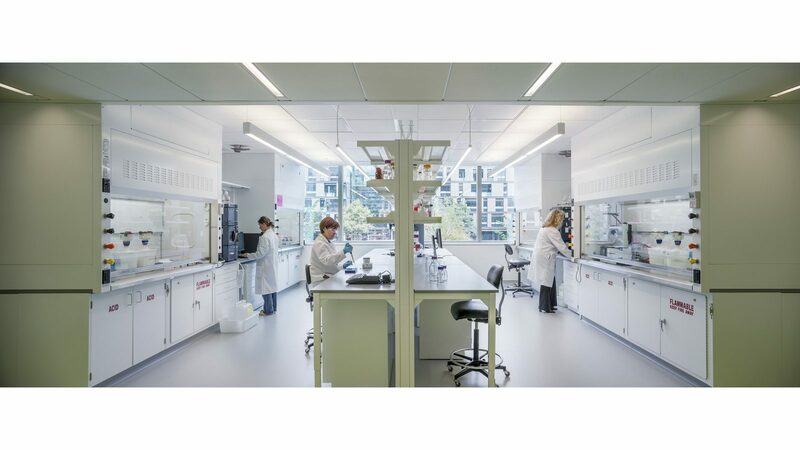 The facility combines the company’s peptide and toxin research expertise with its Global External Innovation and Partnering group. 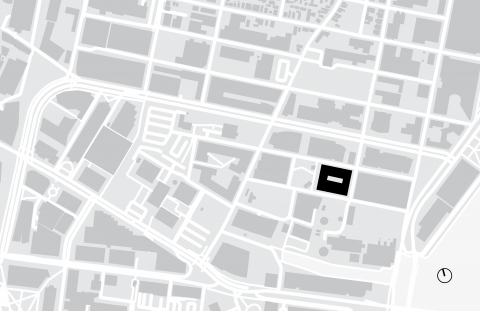 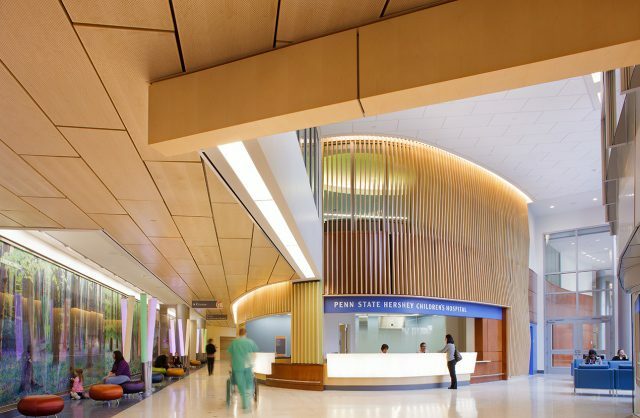 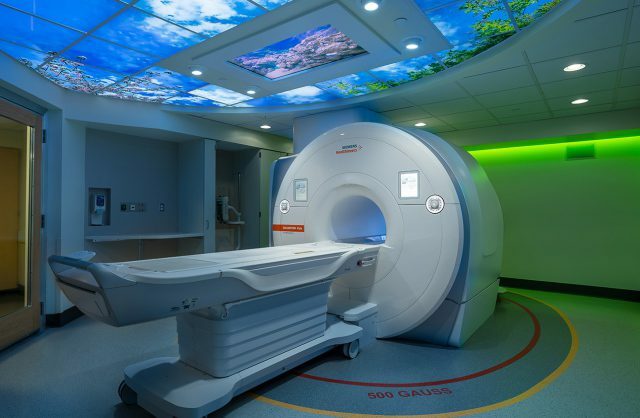 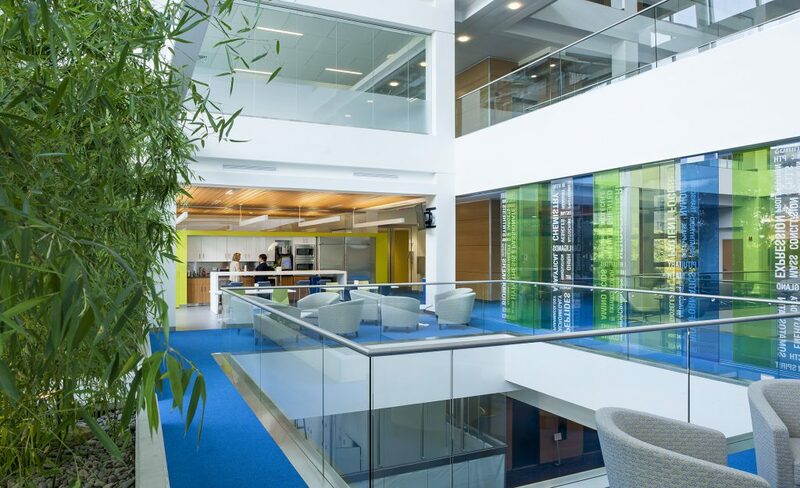 By moving its facilities from Boston’s western suburbs to the hub of biotechnology in Cambridge’s Kendall Square, Ipsen was better able to foster relationships with Boston’s top academic medical research community, while presenting a vibrant new front door for the company. 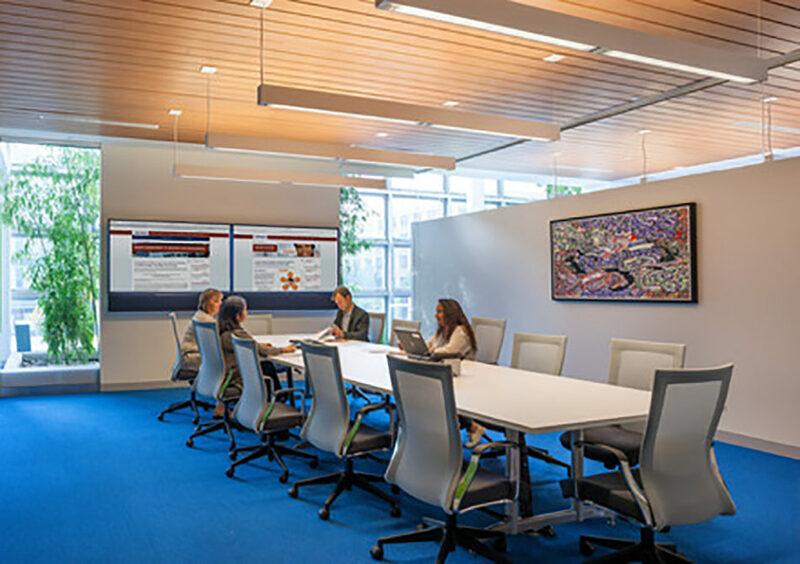 This fit-out was an exceptional opportunity to reinforce the company’s brand, based on its culture of scientific innovation, energetic collaboration and corporate transparency. 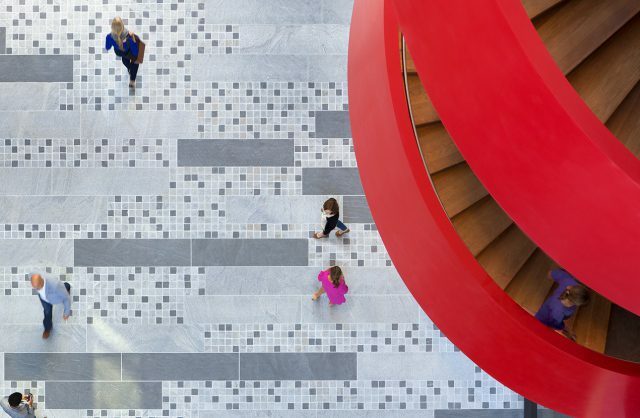 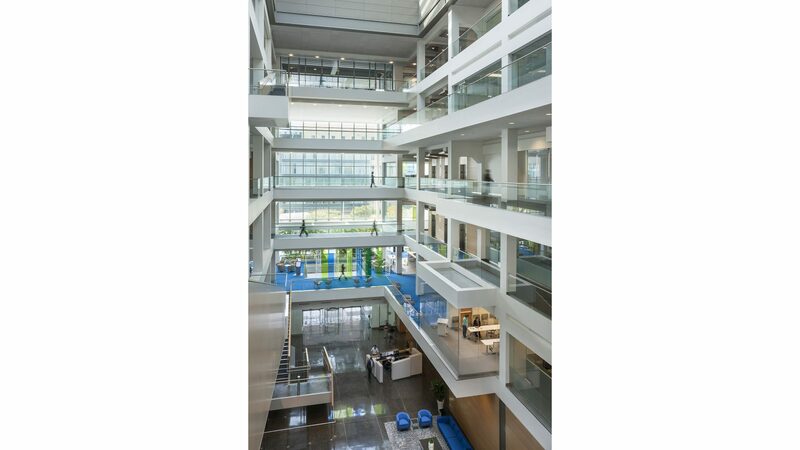 Ipsen’s space is visible from all levels of the building’s six-story atrium; the design strategy heightens its visibility, boldly treating walls, floor, and ceiling to project Ipsen’s identity. 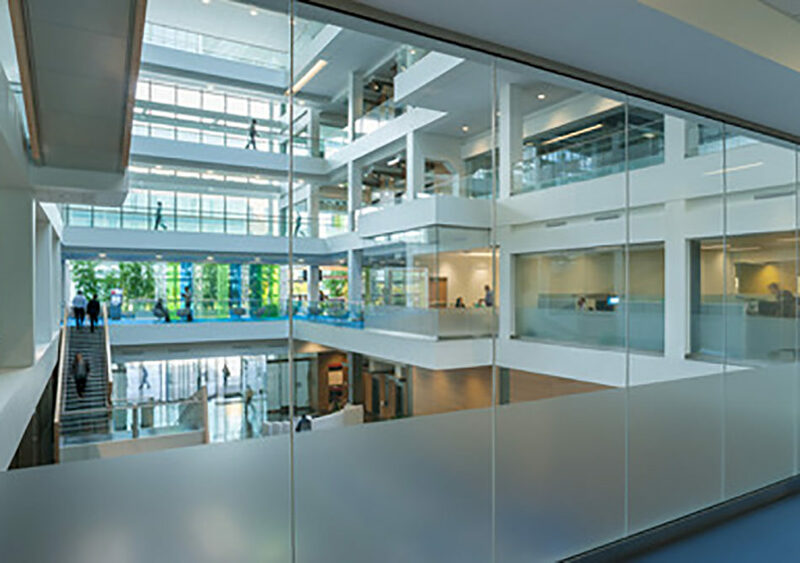 A sliding wall of colored glass carries graphics representing the company’s research areas and goals. 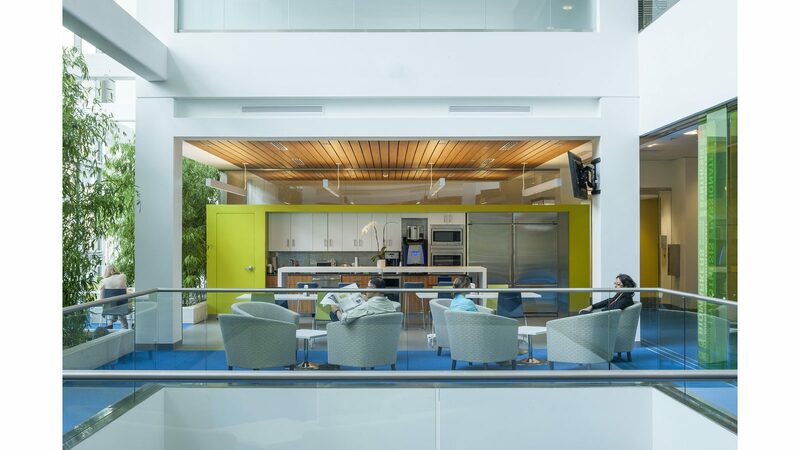 A bright blue carpet—a nod to the blue in the client’s logo—unifies the ensemble of welcoming spaces surrounding the atrium. 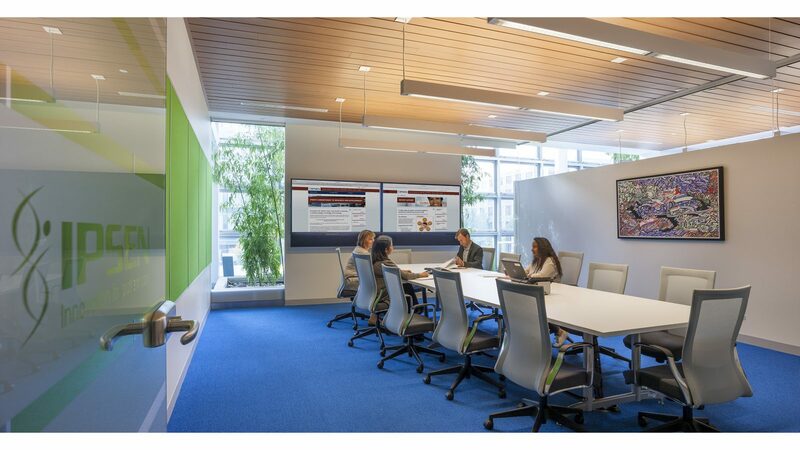 Natural light floods conference rooms connected to the multi-story, public Bamboo Garden by seamless floors and ceilings, interrupted only by subtle glass partitions. 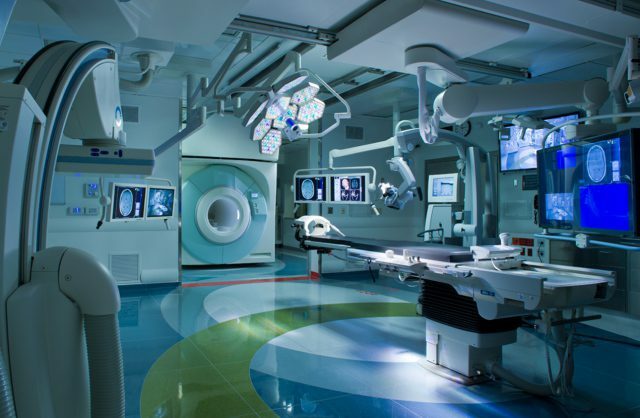 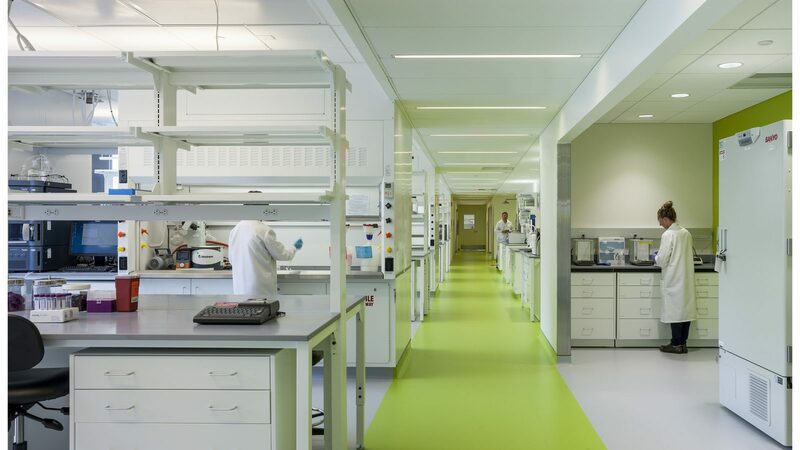 The laboratories are simple and bright, with vivid color animating passages and alcoves. 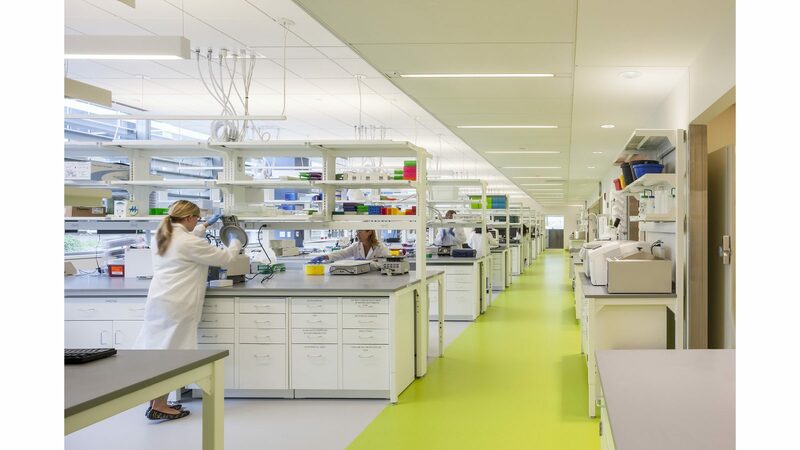 Abundant natural light, supplemented by a mix of ambient and pendant task lighting, keeps the lab benches clear for work and equipment. 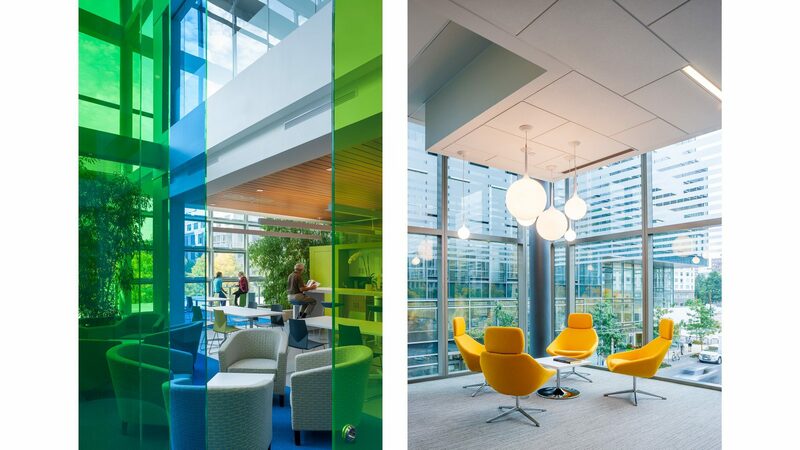 The result is a lively, open, colorful and uplifting environment for both research laboratories and offices.